Haifa is a great city in Israel and I visited it a couple of days when I was in Israel for the TBEX convention in Jerusalem. 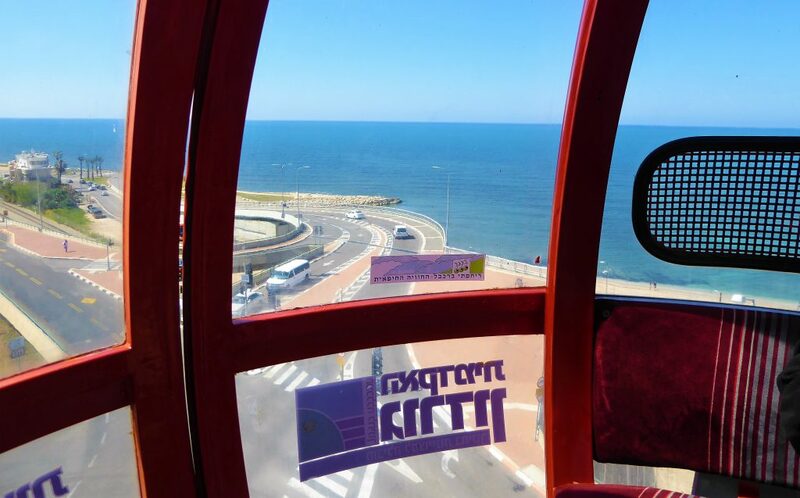 It is the third largest city of Israel and has an important harbour for several industries. 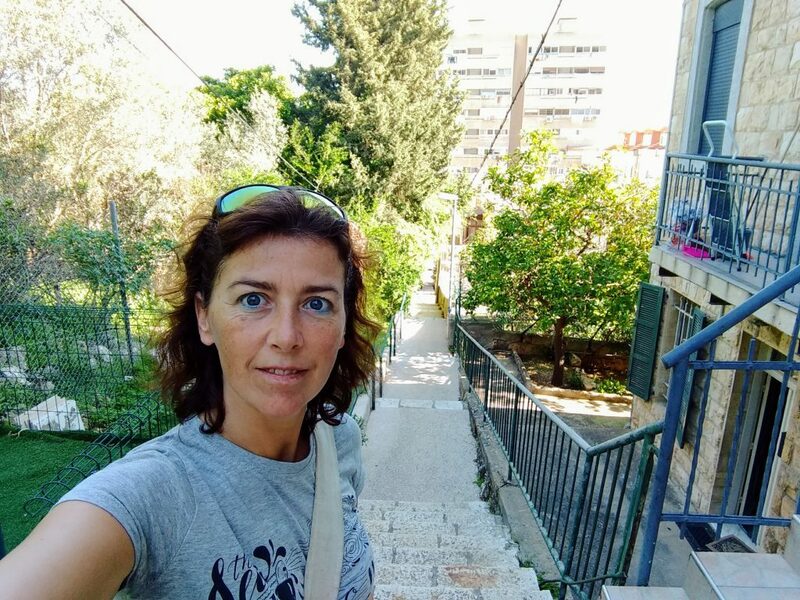 I loved the country of Israel and my visit of 2 weeks!! 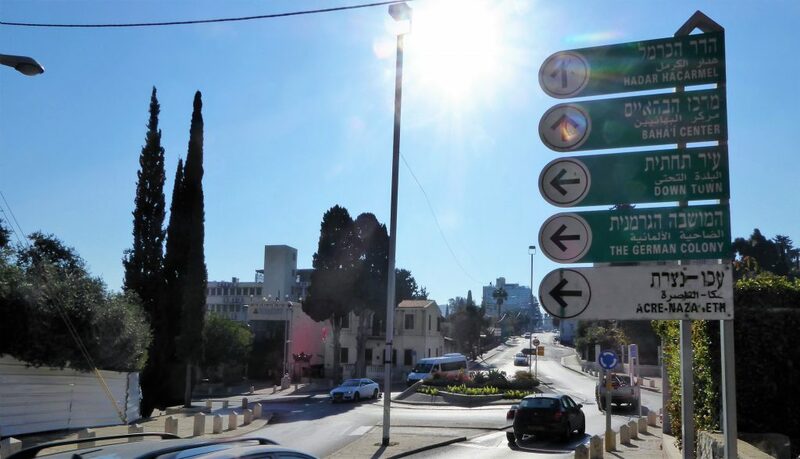 I felt completely safe during my travel around a part of the country and even went hitchhiking on a shabbat!! 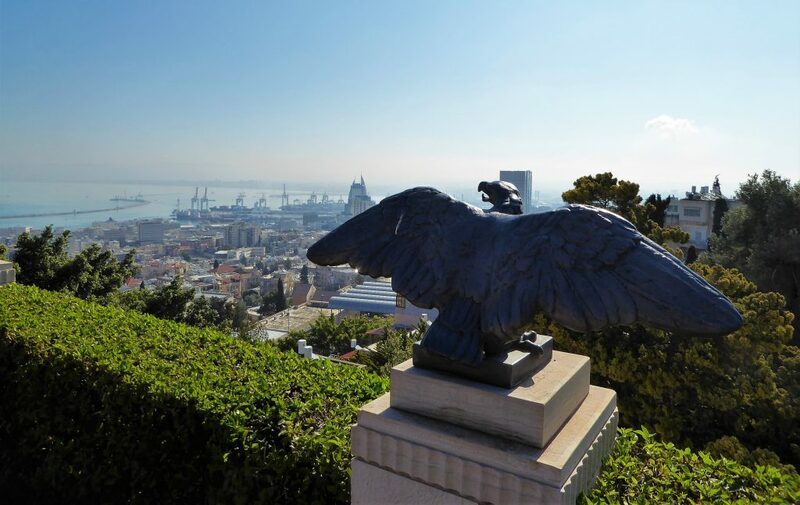 My last stop on my travel through Israel was Haifa and I loved the city from day 1! I love the views of the city which is build against a hill. That way you see a lot of the suburbs, neighbourhoods and the most beautiful buildings. 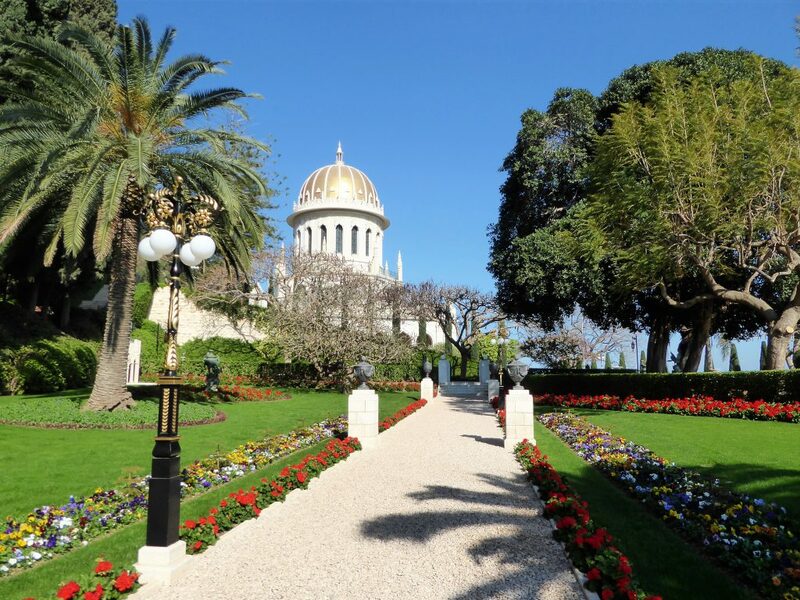 Best one is ofcourse the Bahai Temple that is the sparkling center of attention with its beautiful gardens going down to almost sea level. Loved exploring those too! 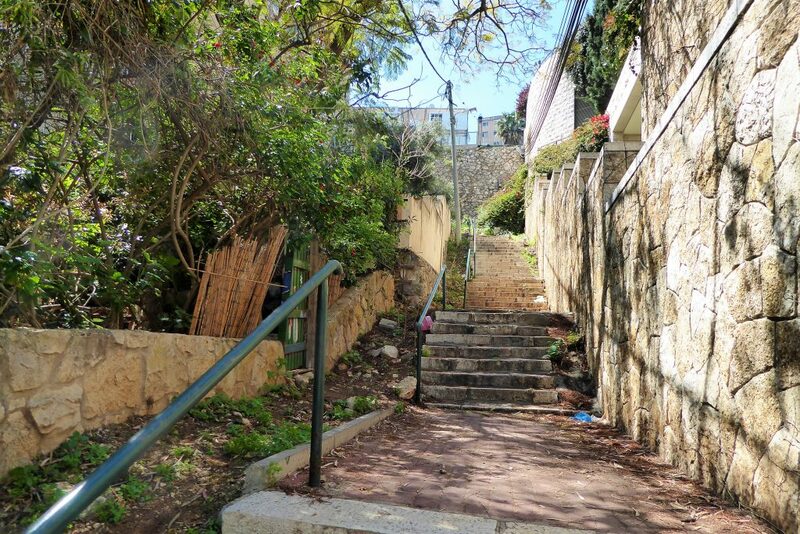 The first thing that caught my eye in the nice tourismbook was a tour from the top terrace of Haifa down to sea level, walking the 1000 steps of Haifa. I love to explore like that, it said it would go through some local areas so I’m in!! 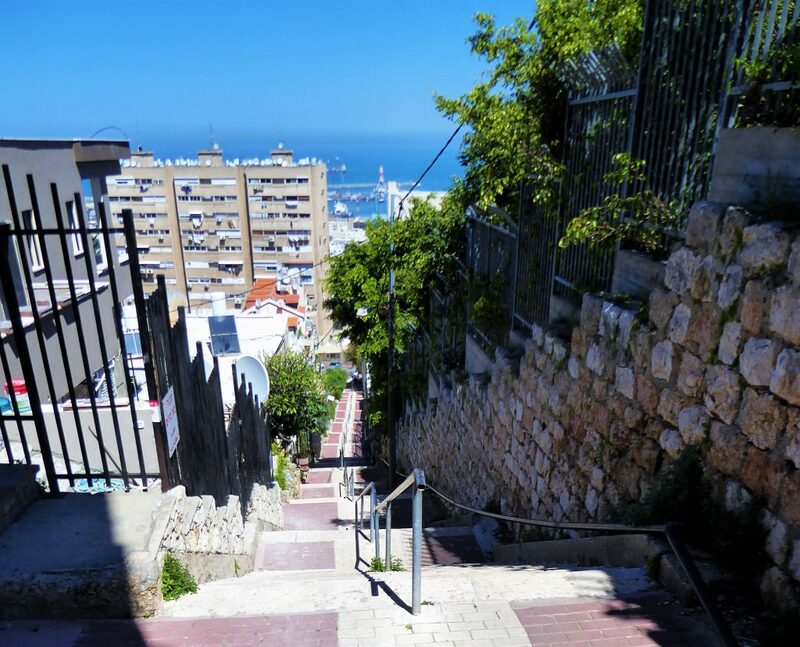 There are so many stairs all over this wonderful city!! You can ofcourse take a taxi or bus up there but I decided to walk up along the side of the temple.. 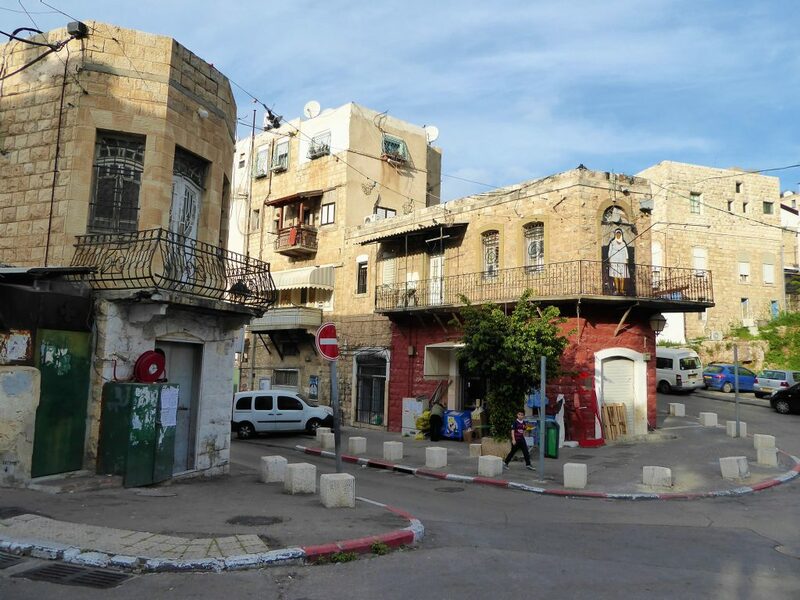 I didn’t got there in the end and after an hour and a half I went down again and took the bus that costs hardly anything and brought me all the way up near the first viewingpoint Savyonim. 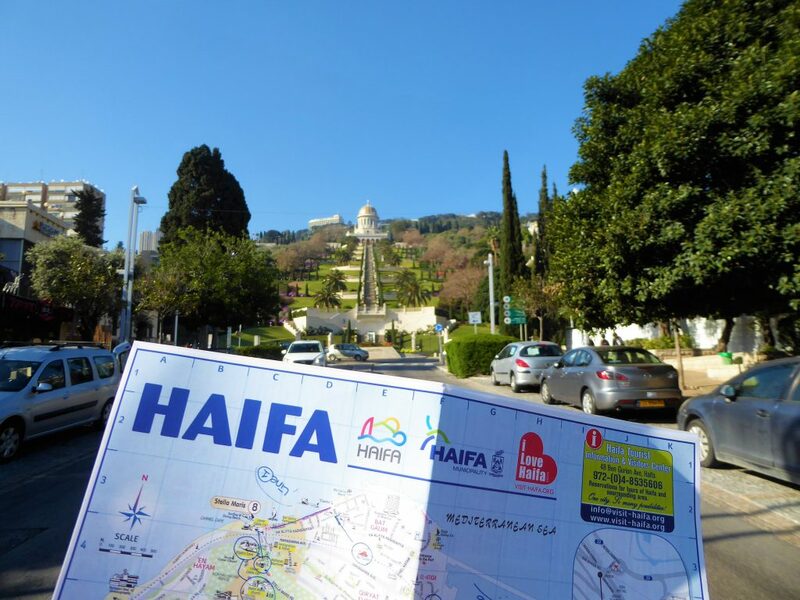 I went in to see the gardens ( You can visit them at 3 levels ) and after I had a great lunch near the starting point of this route and finally started to walk down the 1000 steps of Haifa! 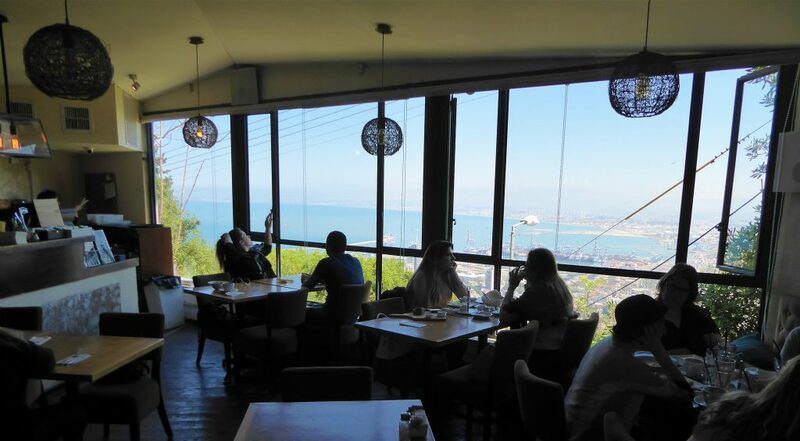 I loved my late breakfast at this place!! 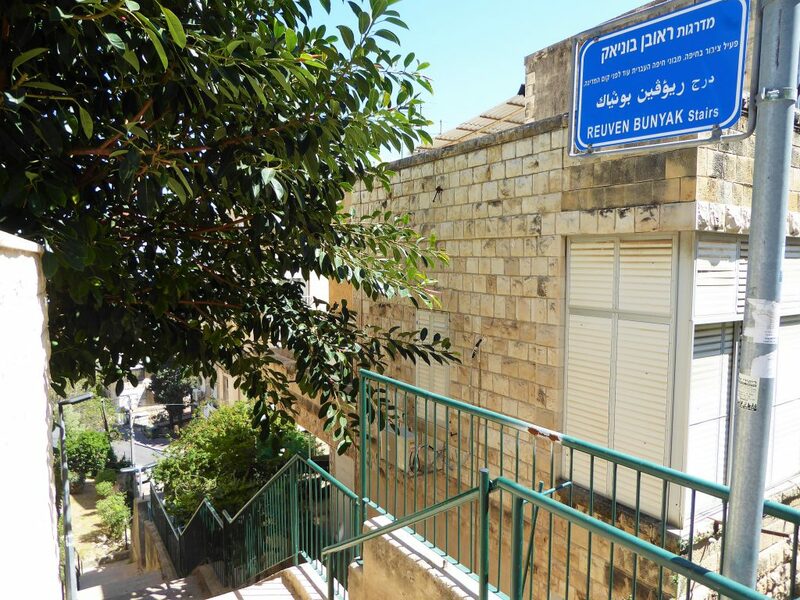 It is on the corner of Yefe Nov street and Sha’ar Ha-Levanon street. As you see it has a great view over the city. Right next to this restaurant were steps going down and so I started my descent here. Not all steps are clean and good maintained but all were good for walking. And the views are was starting to get looked like the best ones!! I was trying to make a vlog 🙂 I don’t do such things… But hey… I tried!! The book was very clear how to walk and I love to explore local suburbs like that. 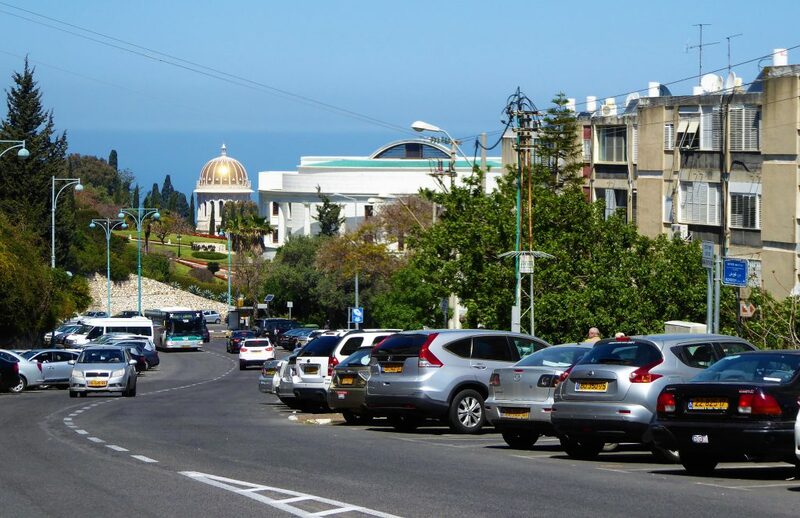 I hardly saw a tourist while I was walking there so you really get the idea of how the Haifa people live here. Wouldn’t you love to explore that too? 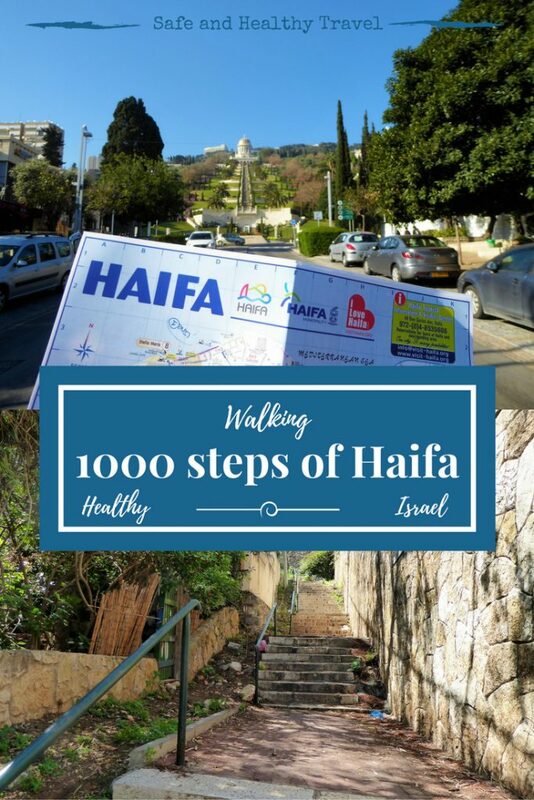 I really loved walking this suggested walk: 100 steps of Haifa. 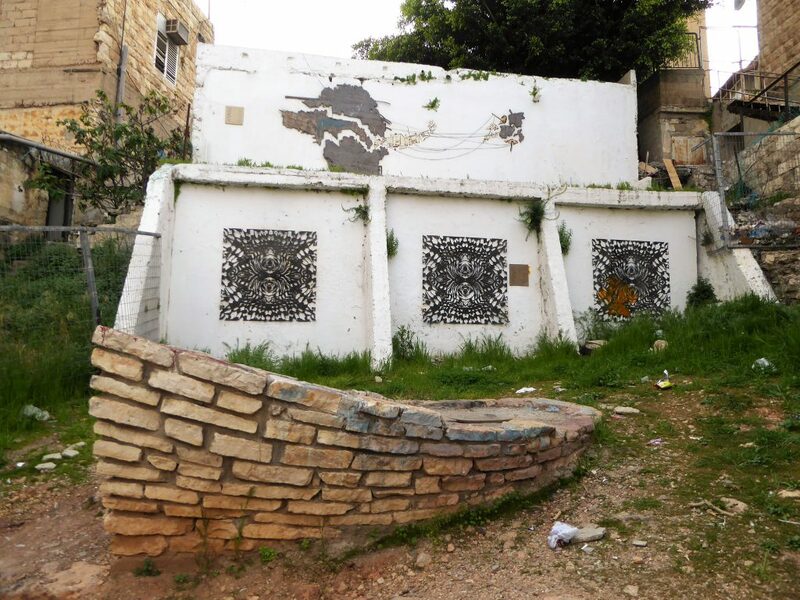 You see some parts of the city you wouldn’t have ever visited otherwise. 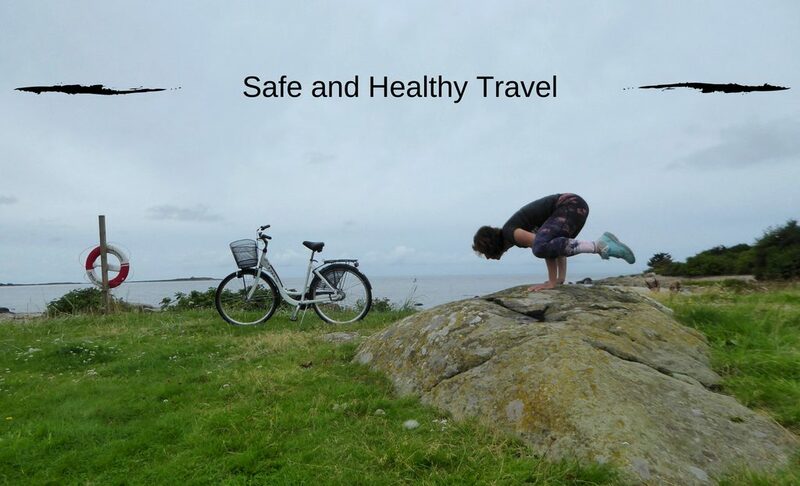 Are you the kind of traveler that spends a day on such kind of exploring too? At the end you can go explore the German Colony. My hostel was also in this suburb, it is centrally located and ideal for a trip in this city. 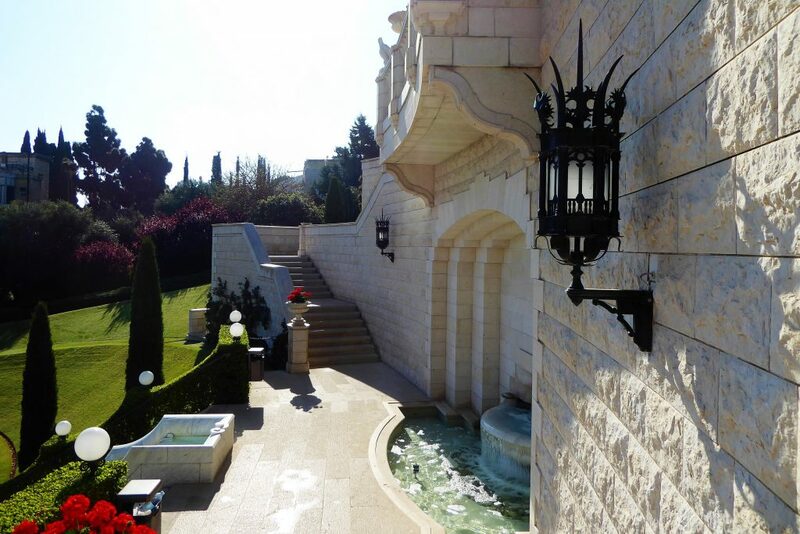 You also need to go explore the Gardens of Bahai!! 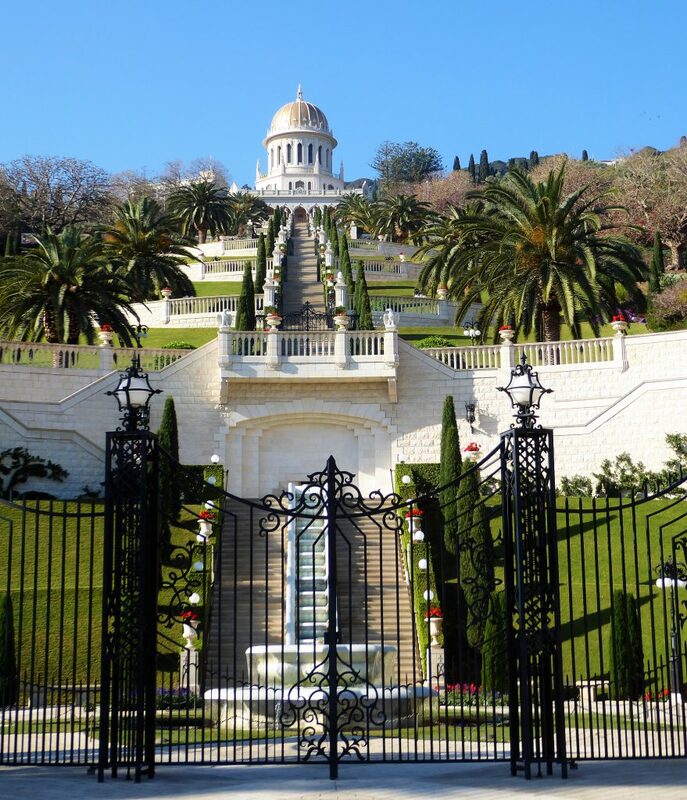 An Oases in the City of Haifa!! But what do you think of the German Colony. 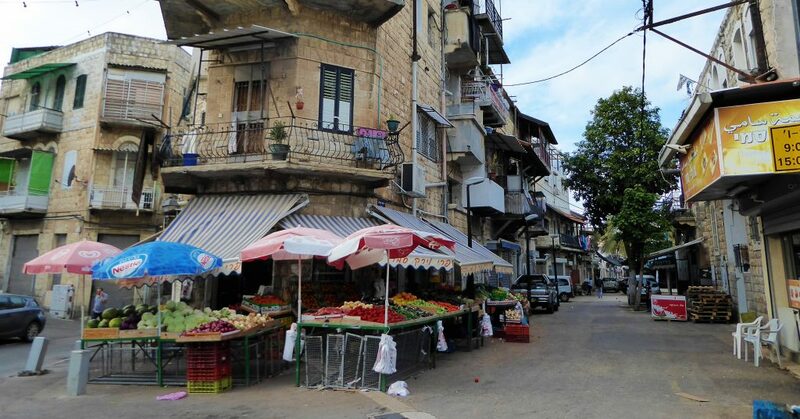 It is a vibrant part of the city, lots of art and local shops and markets. Loved walking there! For me the day wasn’t over yet. I decided to go up Carmel hill. To go and visit the Carmelite Monastry. There is this funicular which you can use to go up. It is a great activity for the rest of the afternoon!! 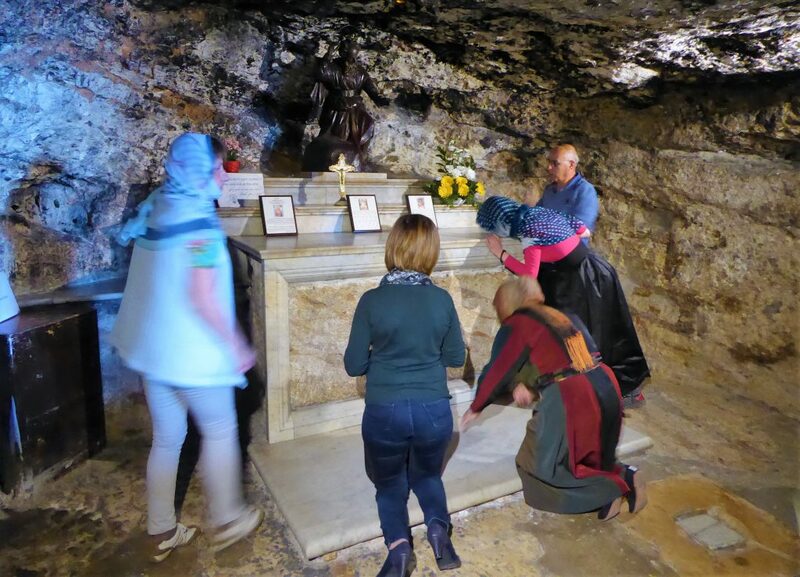 In the Carmelite Monastry was this cave, people were praying there. It was kind of dark and that is why the pictures is not good. 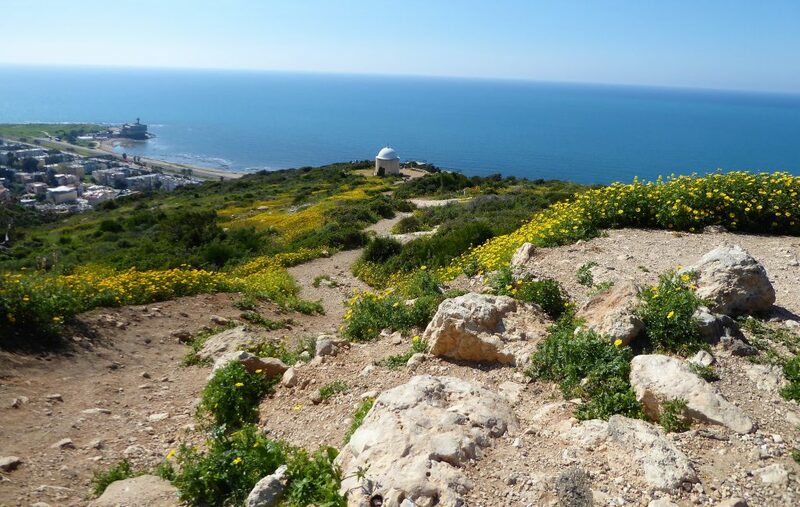 To end my active and healthy day in the same manner I decided to go hike down the Mount Carmel. 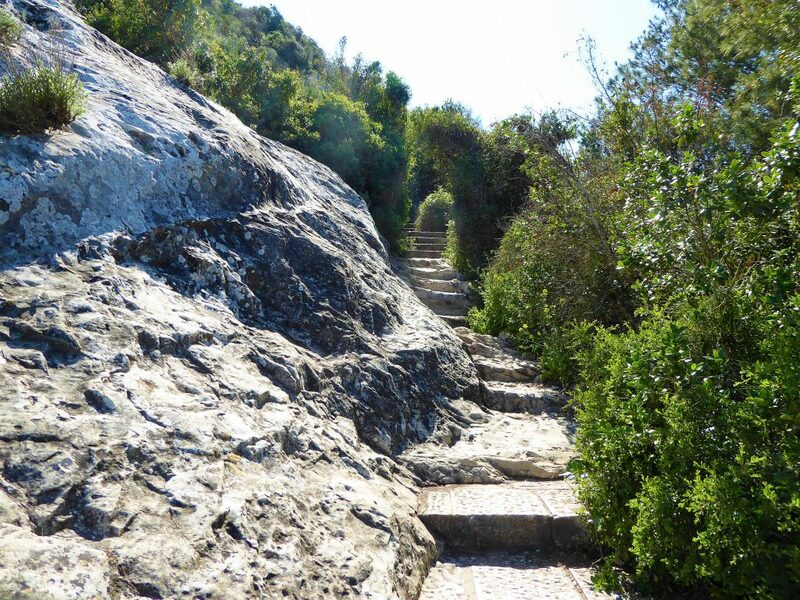 There was a great path leading my way down and it worked out great, even though I was walking on my flipflops. Look at that view and scenery, that is just the best on a sunny afternoon!! Would you spend a day like this too in this great city? can you help me spread my word? 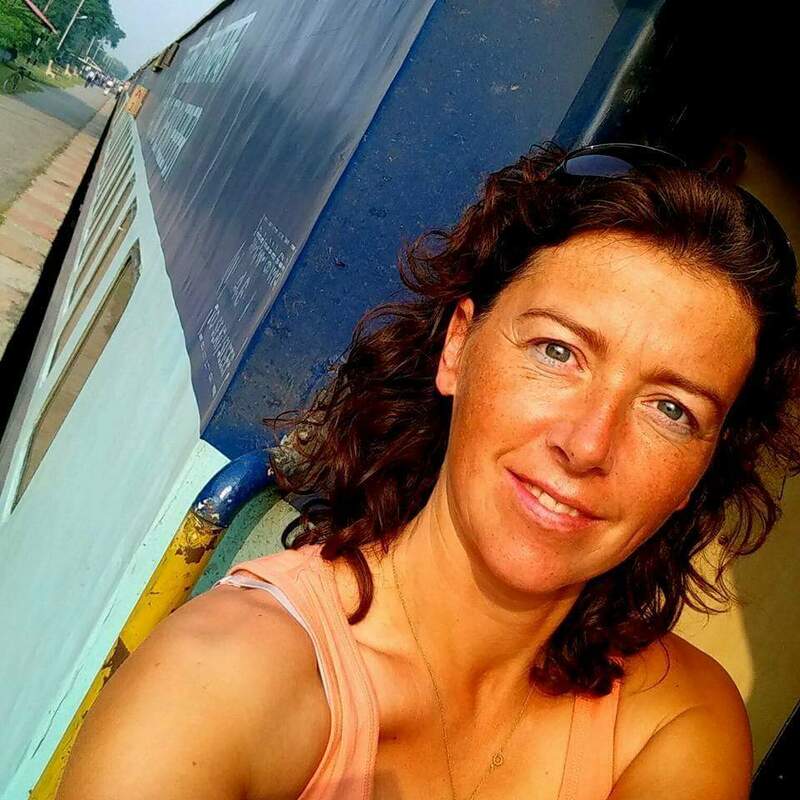 I love exploring cities and countries, you too? See what else I did in Israel!! Or are you interested in some other travels on this beautiful globe? Or can I inspire you to go walk in Colourful Trinidad? I love how the Haifa looks. Really Jacomijn, this place is like a walker’s paradise. Too many cities and towns have few, narrow sidewalks. 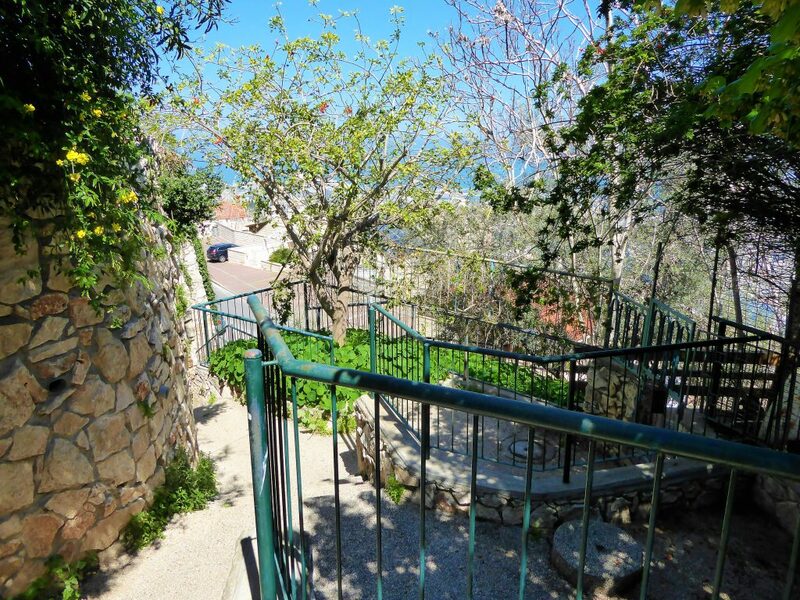 This spot is all about the stairs and views and easy walking. Right up my pedestrian alley. Yes!! It’s great for exploring by foot! Loved it! Thank you!